If you are unable to complete your scheduled shift, please reach out to your fellow resident artists to see if you can switch with someone. Make sure to notify Danielle at [email protected] of any changes. 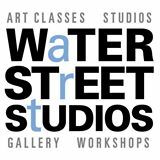 Ryan Kangail, Executive Assistant at Water Street Studios will be available to handle all class registration, memberships, etc. We encourage you to give tours of the facility if visitors are interested.